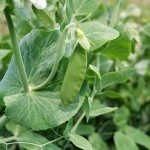 When is the time to prune your snow peas? My plant is 6 feet tall and had lots of blooms last year. Do you need to go just above the soil in September, or can I trim it back now in the spring for this year's harvest. After harvesting cut the plant's stem at soil level and dig in the roots to boost the soil's nitrogen.